Is Toxic Black Mold the Worst Kind of Mold? Get the Facts! The word ‘toxic’ instantly sends shivers down the spine. We all know the connotation that accompanies such a word. Combine that with the word mold and you’ll have a lot of people shifting in their seats. The phrase is common and widespread and unfortunately, fundamentally flawed. 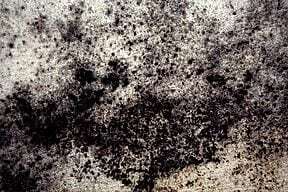 There are two main problems with the phrase ‘toxic black mold’ and righting the misconceptions will allow you to react appropriately when discovering the unwanted dark invader in your home or business. Mold is NOT toxic it is toxigenic. It can release mycotoxins when it has a moisture source, the right food source and is growing. There are millions of mold species, black mold or Stachybotrys Chartarum is just one kind. It is no more dangerous than some of the most common indoor molds that are pink, brown or green like Penicillium or Aspergillus. It depends on the person. What makes mold more or less dangerous is who it is affecting. Everyone responds to mold differently. One out of every five or six people are allergic to mold. This can result in a wide array of health side effects ranging from an annoying itchy nose to severe allergic reactions. People with asthma or other preexisting conditions also have a greater likelihood of having dangerous reactions to mold exposure. 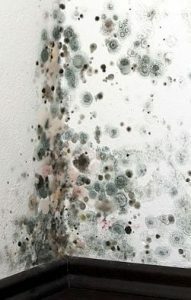 While there is no need to run in fear at the phrase ‘toxic black mold’ it is important to treat ALL mold with respect. The truth is, as a business owner or homeowner, you likely don’t know exactly how all the building occupants will react to mold exposure. Don’t disturb the mold. Leave it alone and call for help to ensure the safety of all those involved. You can reach us 24/7 at 800-727-8990. We’ll be happy to conduct a free mold estimate for you. Kent founded A&J Specialty Services, Inc. DKI 30 years ago and operates on the cutting edge of the restoration industry. He is an expert in mold remediation, water, fire and sewage restoration and is also President of the Indoor Air Quality Association. Click the link for more information on Kent’s expertise and background.